Copper Blues Bar And Grill are located at 156 Jozo Weider Blvd. off Blue Mountain Rd. in Blue Mountain, Collingwood. 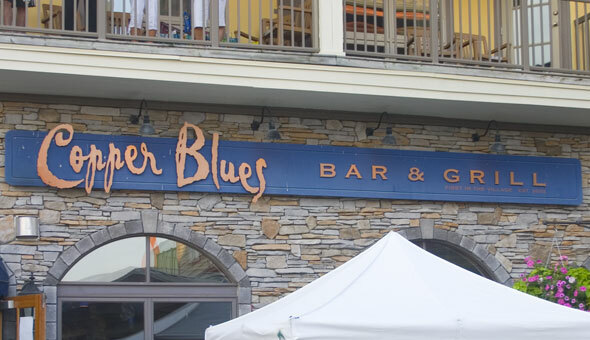 Copper Blues is Blue Mountain's trendy hot spot to see and be seen. Experience dining at it's best while enjoying live music, Sunday brunch, martini Thursdays and a spectacular view of Blue Mountain and Village Events Plaza.